I have been trying to instill in Bunny my love of upcycling. So when I saw this idea on Pinterest, I started saving up cans. She was very picky about how she wanted each one to be. Then I drilled holes (yes, this mama uses power tools), strung some fishing line through the cans, and added a few beads. Now we have a funky junky wind chime. Bunny and I both had fun with this project. I hope to make more during the cold months. Maybe we will have them hanging all the way down our porch by summer. Now onto the Eco-Kids Tuesday Link-Up! Welcome!! Eco-Kids Tuesday is growing by leaps and bounds!! We had so many great posts shared with us last week at Eco-Kids Tuesday! I enjoyed each and every one of them. It is getting harder and harder each week to pick just a few features! Here are three of my favorites. 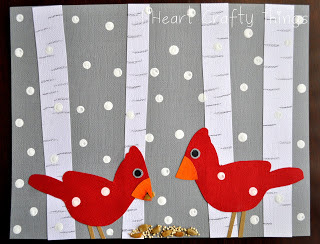 Maro's Kindergarten shared some great winter bird activities! 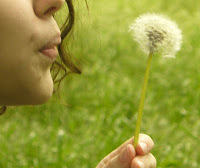 I have a fondness for dandelions! Wildcraft Vita shared 40 things to do with dandelions. 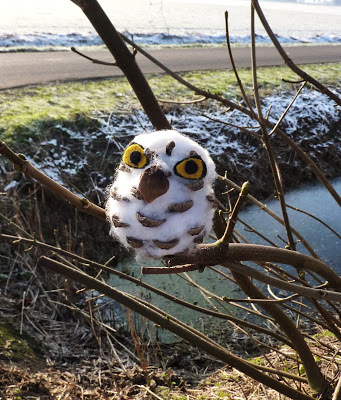 The Bounty Earth shared how to make the cute Snow Owl! And as a little bonus, I am featuring a great read called Radical Simplicity by Small Footprint Family! Toward the end of the article they have a list of suggestions to get you started. While we already do several, I am planning to do a few more this year! I LOVED the windchime it's a great idea! Thank you very much for featuring my post I feel honored!!! Have a nice week and a great Link party with lots of ideas! Hi Hannah, thank you for featuring my snowy owl. I placed your weblog on my "blogs I like to read" list on my side. Funky Junky Windchimes! LOVE the idea! I'm pinning it, and I hope to make some of our own now! They would be "funky" hanging all around our awning on the back patio! Hi Hannah, The upcycled wind chime is a great idea! I'm not sure if my post this week fits into the categories listed, but I enjoy being a part of this link-up. Thanks for hosting! Absolutely! Thanks for sharing it with us. 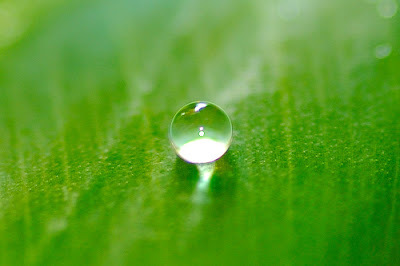 Thanks so much for featuring my post about radical simplicity. This week I've posted on why eating imported superfoods like quinoa, acai, chia, etc. is bad for the environment and traditional food systems. Thanks for the invite! I hope you have fun making some suet for the birds! Enjoy! Glad you found us. Thanks for the blog hop invite! Thanks for inviting me to share my post on hooping with your link up!